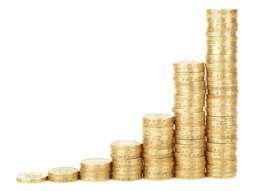 Business and financial investigations deal with the source of money, its path of flow and its mode of usage. It has the potential of revealing a number of illicit activities such as public corruption, health care fraud, telemarketing fraud, terrorist funding and other financially motivated white collar crimes. Frauds are an unsolicited part of a business, which if not kept in a check can potentially damage the reputation of the business and the country. While it is not possible to completely eliminate the occurrence of frauds, it is essential that a business has a robust framework in place to identify potential fraudsters and engage in thorough investigations subsequent to such incidents. 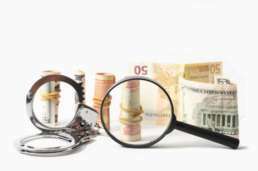 Asset misappropriation is one of the most common white collar crime which can assume different forms such as fraudulent payments, cash theft, misuse of assets etc. Financial statement fraud is the fraudulent reporting of finances that results in erroneous statements in a company’s financial records, often done to hide the company’s liabilities to give a false impression of the company’s financial strength. Terrorist funding involves a financial investigation of a complex network as it involves transnational transactions, and a diverse range of techniques to achieve their desired goals. 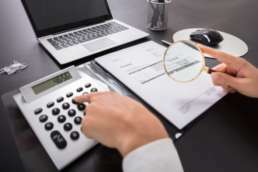 IFF Lab provides financial investigation & financial auditing services on a multitude of illegal activities within the corporate sphere pertaining to shareholder and partner disputes, business interruption and property claims losses, mergers and acquisitions, frauds executed by employees, asset misappropriation, embezzlement, tax evasion and much more. Auditing various financial document such as bank account records, bank account information, real estate files, motor vehicle records etc. Our forensic financial auditing experts are skilled at conducting an in-depth analysis of documents from various sources and can provide assistance in matters involving external and internal frauds, regulatory and law enforcement scrutiny, bribery and many others. We take pride in our team of forensic experts who believe in conducting investigations with precision, care and a stringent attention to detail, which results in effective outcomes and a name that can be trusted by all.